Baby & Newborn photography is so much fun. We get to spend 3 hours or more with your newborn baby. 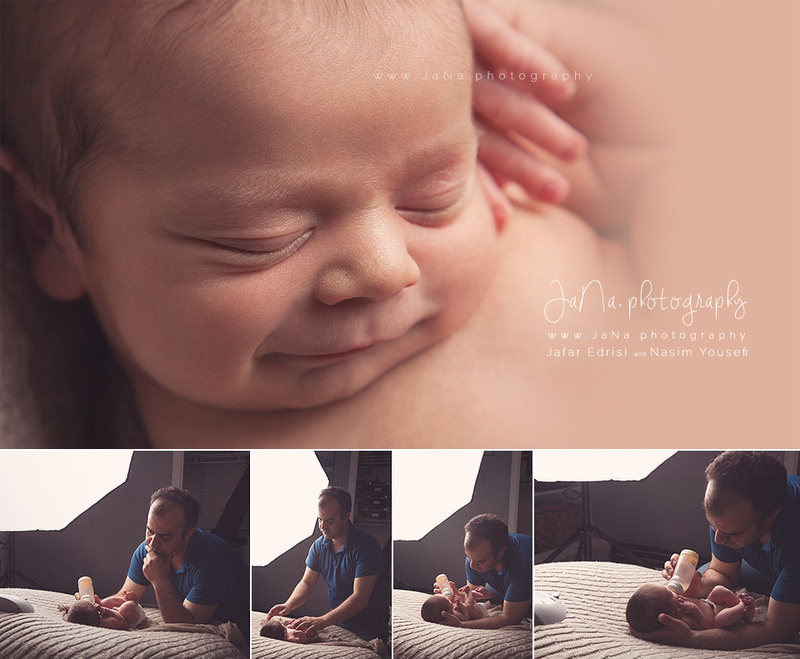 It’s truly amazing to capture the pureness of a baby during the first days of their life. We know from experience that as time goes by, you will be very glad you captured these precious moments while they lasted. Arriving home from the hospital with a newborn baby is not always an easy transition. There are the physical aches of having just given birth, the wave of hormonal emotions, and adjusting to a whole new schedule and lifestyle while welcoming well-wishing visitors that are eager to see your new family addition. Additionally, living in multicultural Vancouver, we’ve learned that some cultures don’t recommend taking the baby outside the home within the first few weeks of their life. We don’t want any parent to loose the opportunity to savour such precious moments, this is why we’ve decided to offer on location newborn photography services to clients that find it hard to travel to our boutique Vancouver studio. If you live in Richmond, Surrey, Langley, or Coquitlam, our studio may be too far for you to visit and this may be the perfect option for you. Based on your preference we bring a selection of props for every on location photography session, but we do recommend coming to our Vancouver studio if you can, since we have a much more diverse variety of props (like headbands, baskets, and backgrounds) that we can put to good use. Here are some of the equipment and newborn baby props we set up and bring for an on-location newborn photography session. The picture and information provided can be a good source to answer a lot of your questions. Basically, our newborn photography sessions are a combination of natural and studio lighting depends on the home windows and space. But in most cases we use the professional studio lighting to have a better quality and to provide lighting special effects. We cannot really rely on the available light in our client’s home. 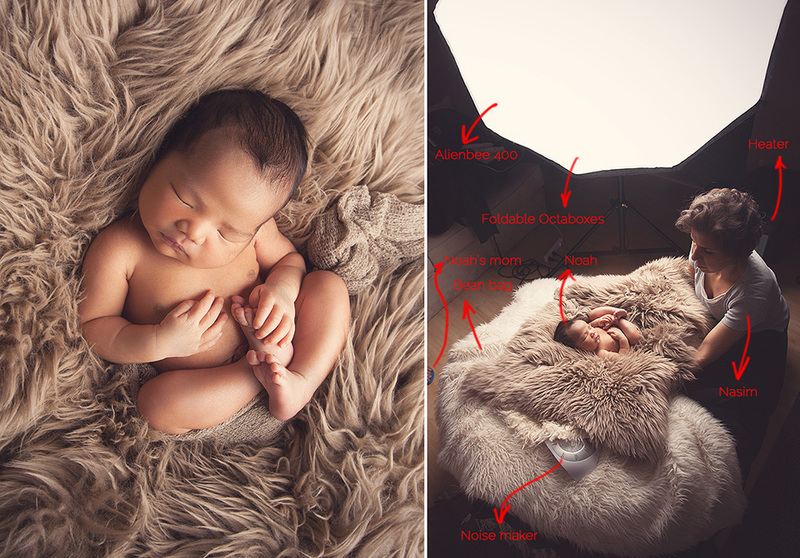 To have the best newborn photography result is to avoid flat and poor lighting. Our style is to use neutral colors as backdrops and blankets. Depending on baby gender and the skin color we choose the best fabric. However all the clients value what we choose for them, but we always ask them if you have any color preference or special request. We bring variety of props and backdrops and we use as many as them depending on the newborn baby cooperation and the time. Posing babies in baskets and buckets always have adorable results. We use at least one or 2 basket set-up depending on baby situation and time. Safety is our first priority and in any risky position there are always supporting hands behind the scene that support babies head and body also to avoid getting capsized. We consider that in every basket and bucket set-up. The props that we use for newborn baby girls and boys are all hand made by Jafar and Nasim, the newborn photographer team that you have chosen. Making the props by ourselves help to have them unique, according to our photography style. Wipe and paper towel are very essential and handy items to have for a newborn photography session for cleaning baby when the pee or poo. We also bring the hand sanitizer and use it frequently during a newborn photography to sanitize our hands although the first thing we do before touching the baby is to wash our hands. This lovely device that all the newborn babies love it so much is a great equipment. We use white noise to comfort the babies. Our white noise maker has different sounds and it’s almost on for the whole session. 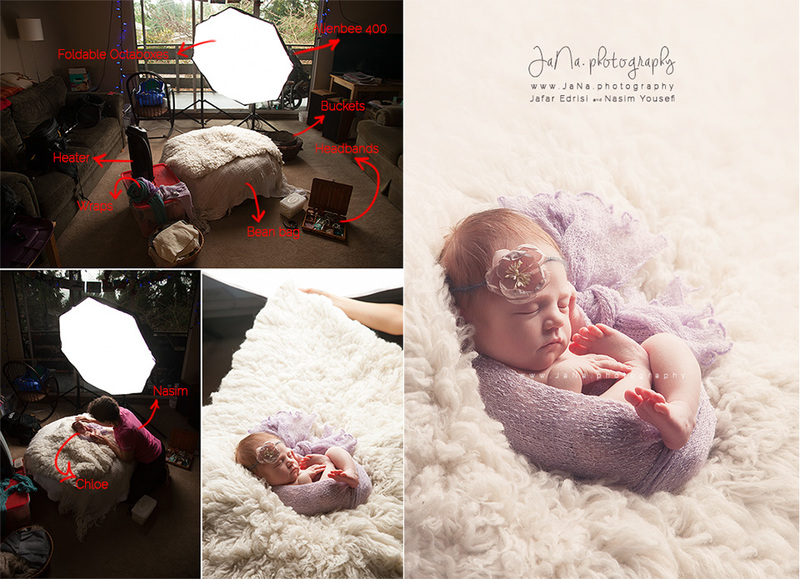 White noise is one of the many tools we use to soothe the newborn baby during a photography session. Don’t worry if your house or the room is not warm enough. As in most of the photos, the babies are going to be naked, we bring and use a heater that helps keep them nice and warm.